(CNN) - Narendra Modi swept into power in 2014 with promises to take the Indian economy to new heights and to create jobs for millions of young people. But India's prime minister faces a bruising election battle next year amid questions over his handling of an economy that has weakened in recent months. India's economy surged ahead in the first half of 2018 after spending much of the previous year recovering from a tax overhaul and a shock decision by Modi to ban most of the country's cash. Growth accelerated to 8.2% in the quarter ended June 2018, the fastest rate of any major economy. India still holds that distinction, but growth pulled back sharply to 7.1% in the most recent quarter. GDP data for the final quarter of 2018 is expected in February and could factor into Modi's appeal to voters as he seeks a second term as prime minister. Voters will also pay attention to Modi's efforts to promote job creation. Around 12 million Indians enter the workforce every year, but many struggle to find employment. India does not publish official employment data, but a recent study by researchers at Azim Premji University concluded that an "increase in unemployment is clearly visible all across India." The Indian rupee hit a series of record lows in 2018 and ranks as one of Asia's worst-performing currencies. Despite a slight recovery as the year draws to a close, it is still down around 10% against the US dollar in 2018. The currency will weaken further next year because of political uncertainty around the election and concerns about the independence of India's central bank, analysts at Capital Economics wrote in a recent note. The darkest cloud on India's economic horizon concerns its central bank, the Reserve Bank of India. Former central bank chief Urjit Patel stepped down abruptly in early December — nine months before his term was due to end. While Patel said he quit for personal reasons, his departure was preceded by a public spat between the central bank and Modi's government. The government was reportedly pressuring the bank to do more to boost growth ahead of the election, and analysts told CNN that Patel was probably "no longer able to withstand" that pressure. Modi wasted no time in replacing Patel, appointing Shaktikanta Das, a former government finance official, as his successor barely 24 hours later. Das' hasty call-up and his government track record have sparked concerns that the central bank's autonomy could be compromised. His appointment "is likely to keep investors and markets worried about RBI's independence, given his close ties with the government," said Priyanka Kishore, senior India economist at Oxford Economics. Kishore and other analysts predict the central bank, which hiked interest rates twice in 2018 and has held them steady since, will slash them in 2019. Many of Modi's proposed reforms, particularly to India's land acquisition and labor laws, have not yet materialized. The major overhauls he has enacted, such as changes to the tax system and the cash ban, have been hugely disruptive to the economy. Next year's elections could paint a different picture. 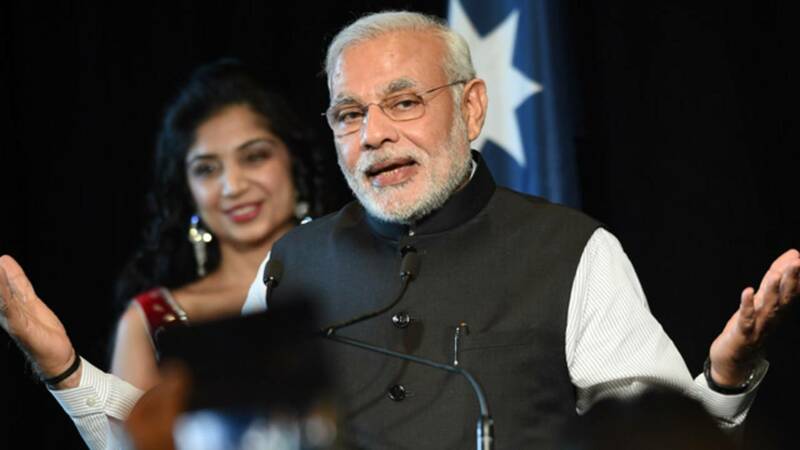 "An election victory for Prime Minister Modi could provide space to re-energize his reform agenda after a lackluster 2018," said Shilan Shah, senior India economist at Capital Economics. Modi could seek to cut red tape for business and further open India to foreign investment, Shah said. Another push to privatize state-owned firms is also likely. Other traditional pressures on the Indian economy, such as high oil prices, have eased in recent months. But as one of the world's biggest energy importers, another spike could hit India hard. Whatever happens at the polls will have major implications for India's economic health. "The election is likely to prove a turning point for the economy," Shah said.